Gloria Paz has been located and is safe. On February 11, 2018 at approximately 4:30 pm, Gloria Paz was last seen on foot in the 10000 block of Ruth Ann Drive. Ms. Paz may be a danger to herself. 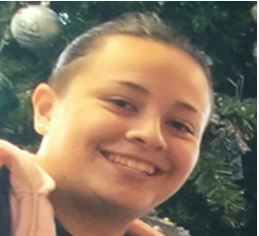 Ms. Paz is described as a Latin , 17 years of age, 5’4″, weighing 150 lbs, black hair, and brown eyes. She was last seen wearing a gray shirt, gray jogging pants, and brown shoes. The Dallas Police Department is asking for the public’s assistance in locating the above individual. If you see this person, please contact 9-1-1 or the Dallas Police Department at (214) 671-4268.